One of the most unique aspects of choosing to live on planet Earth, and all her majesty and density, is feelings. In the higher realms which we call, “dimensions,” feelings are refined, and seize to exist, as the energies do not support the density of feelings. The higher we go dimensionally, the lighter the energy, and air. The mind and heart are clear, and aligned, and feelings are not felt in the same way as they are here on Earth. Feelings bring you “down to Earth,” they open your heart, make you laugh, sing, dance, anger, and wallow. They can be blissful, joyful, and heart opening. They can also be crushing, devastating, and heart breaking. Feelings are why we came here. What we came to “master,” and what will “save” the human race. Feelings like everything in life, must be balanced, harmonized, and integrated. Children are a perfect example of what feelings and emotions are. How we feel is what we create. What we create becomes how we live. This is why feelings are powerful. Feelings have the potential to become emotions. Emotions are more powerful than any other energy in our bodies. They are Energy in motion. They are like sound waves; resonating from the outside to the inside. Feelings are the doorway to attracting our deepest desires; emotions are the key to what we actually attract into our lives. Emotions reverberate and create an auric field around us, that then bounce into the ethers of the collective consciousness, and create cultures, cities, countries, and continents. Feelings can mask true emotions. In recent years, “the law of attraction,” has become prominent in the New Age community. It is something that has been talked about, written about, seminared about, and yet still has not been anywhere close to mastered. Like everything in our “modern” world it has become, a means to an end. A way to magnetize more material objects of no value, and created a stigma against those who are not able to “attract” the same bounty as others. It is a very “rational” and logical way of looking at the world, and in many cases has become yet another way to keep the pyramids of our world thriving. For truly, yes we do attract what our vibes are sending out, however, there is also this element of “feelings” that hasn’t been clearly resolved. To receive, we must feel what we are receiving. And, “the law of attraction,” is one of many “Universal laws,” that we are bound to here on Earth. To be human is to develop both our “rational and logical mind,” and our “feeling intuitive nature.” The Yin and the Yang, the Masculine and Feminine. We are here in this world of duality to find peace, harmony, and balance. Not to accumulate more “things,” and be tied to suffering and misery. True “law of attraction,” is understanding that you are provided for in each breath as you work towards achieving wholeness. It is not about acquiring more stuff, belittling others, judgment or a way to sell more books, seminars, and products. The Law of Attraction, requires an integration of the mind and heart. An alignment with Creator, and the Divinity within, to make your life workable art. In order for us to truly master our feelings we must go deep within. The main issue with “Feelings” is they are meant to come and go. Where we get stuck in feelings is to feel the top notes; excluding the base notes. For example, many people will feel “anger” as a first feeling, and never tap into the depth of what that anger is really expressing. When we allow ourselves to truly feel the emotion, we experience all the notes. Like a child who begins with a gentle cry, that becomes a screaming ruckus, to go back to peace and calm. This is the way feelings move to emotion, and finally are released. Feeling is the first step in a process of release. When not fully released they become toxic, angry, and negative. Often times the deeper emotions are related to childhood, rejection, abandonment, and grief. AKA trauma. Early childhood trauma is the result of so much pain and suffering in our world. The deep wounds that have penetrated lifetimes of ancestors, and caused death, war, disease, starvation, and torture. These are deep times of purification on our planet, and everything is coming up for healing. Feelings when felt, lead to emotions that take us to the unexpected. This is why the “law of attraction” works for some, and fails for others. Without the clarity of feelings, and purging of old emotions; negativity wins every time. Even if on the outside your “Cathy Sunshine,” if within yourself, you have repressed emotions that are buried behind surface “feelings,” you will not attract the “sunshine.” You will most likely attract the storm clouds. Because there is more momentum, more hidden shadows, and more “junk” to shift through when we repress and hold onto the dusty parts of our existence. It’s like cleaning the house daily, and never the closets. Feelings are completely normal, and if we as a society could learn to return to our essence as children, we would know what to do with emotions. Instead of burying them, we would feel them, heal them, and move through them. If you are someone who “feels” too much. Take a break from everything and everyone, and sit with your feelings. What are you really feeling deep inside? What is the emotion that is ready to purge itself? Many healers, empaths, artists, and sensitives have so many “feelings” because they are channelers. Also most have been labeled “different,” “strange,” and have suffered more condemnation and judgement from the world at large. They come in “different”, and with this “difference,” lays a larger self-responsibility to love self even more. Many are born into harsh situations and environments, and from an early age have to repress their internal feelings and emotions. This is why art is both a curse and a gift. It oftentimes comes from deep pain and suffering, and the gift is the art that is created. Through pain, beauty is born. When you channel you are “wide awake,” and this means you have to feel to create. The deeper you feel; the deeper the art you are expressing. Empathy, compassion, and love are cultivated from deep inner workings and healings. We cannot truly know empathy until we have felt the depths of despair. We cannot truly be compassionate unless we have been kicked more times than not. In the healing community, so many suffer from their feelings. They are angered by the conditions of our world, by the sleeping nature of humanity. The killing, polluting, and waste they see everyday. This is the challenge of living in this time. 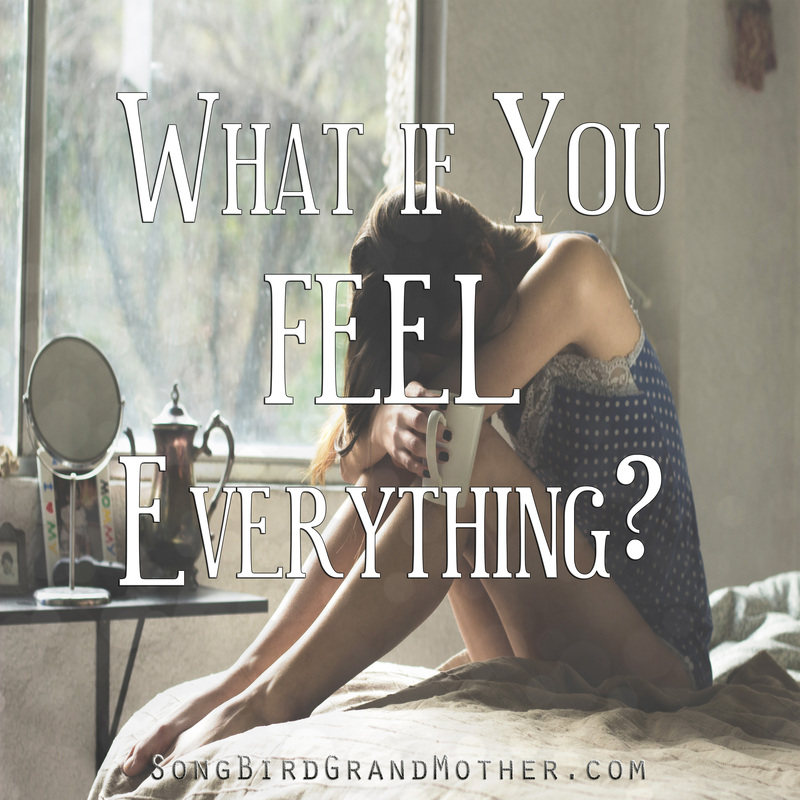 What do we do when we FEEL everything? Feel it, heal it, and use these energies to create something good in our world. It does no good to just feel everything and torture yourself. Integrate those feelings, clean up the wounds from your childhood, dare to go into your shadow, and step into your purpose. If you are a feeler, Mother Earth needs you. The awakening needs your empathy, compassion, love, and grace to create the new world. Feel it, heal it, and step into your greatness. The world changes as we change it. Let’s rise up, feel, and show others how to change the world. For private and deep transformational healing, I invite you to book an Intuitive Healing Session.